The apartment has a living, kitchen area with a fully equipped kitchenette (no oven), a kitchen furniture, and a rattan sitting. The two bedrooms are adjacent and have each a window. In "master bedroom" has a double bed with stand-up head parts. The smaller bedroom has a bunk bed. The bathroom has a vanity with mirror, a shower and toilet. All rooms are accessible by a small hallway at the entrance of. In this there is also a cloakroom. All rooms are heated. The small bedroom is heated by the parent bedroom. To the apartment belongs a furnished terrace at the house. In 1998, a privately farmed holiday idyll from the former East German holiday. After the conversion, all cottages have been lovingly refurbished. For every house is a parking lot on the premises. The complex was designed visitor-friendly. Oak furniture, table tennis, lawn or small barbecue area with gazebo, invite you to relax or cozy gathering. With a nice breakfast on the terrace of the holiday home, your holiday can be just relaxing. 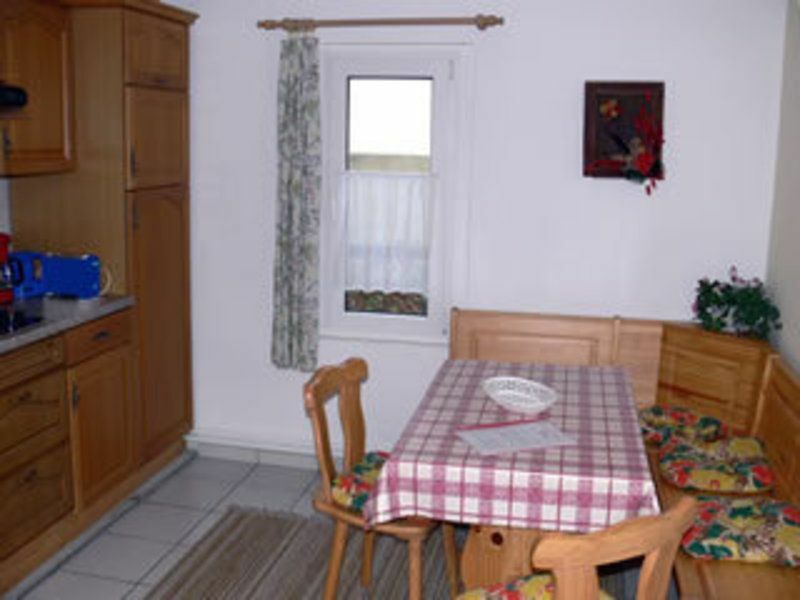 The cottages are located on the outskirts in a quiet location. Only a wooded hillside separating the houses from Moderfitzsee. One of the many swimming holes can be reached in about 3 minutes. In the middle of Brandenburg "Uckermark Lakes nature reserve", north of Berlin, between Fuerstenberg / Havel and the village Lychen Himmelpfort is. The place is surrounded by four lakes and a lot of forest. Heavenly rest owed this spot once his name and even today it is very popular with nature lovers and water friends. Boat trips on the lakes, the Woblitz until after Lychen or a ride on the Havel with the passenger ships are a must. Cycling not only on the cycle path running between Berlin and Copenhagen or hikes to the surrounding destinations are possible, even the town itself with its Santa Claus room or the monastery herb garden invite you to linger. Himmelpfort is "nationally recognized resort".